Stay toasty all through the winter in the Ugg Maylin boots. I absolutely adore these boots and keeping my tootsies warm during the frigid months is goal number one. The fuzzy upper adds a luxe appeal to this comfy-chic boot. It’s like wearing a cozy blanket on your feet, you know like you are snuggled up by the fire place but you are really not! Instead you are going about your day probably rockin’ leggings or skinny jeans wearing these boots with the fluffy shaft showing off your boot candy. Shown below in leather with Chestnut finish, also available in black. Don’t forget about the free shipping too! Also available in suede for $20 less than the leather. 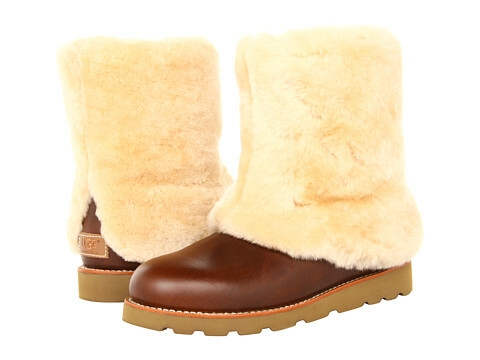 To find more Ugg boots click HERE.